And radiation therapy that is all too easily given to cancer patients today. The key to understanding why GSH is so crucial for health is that every cell in our bodies produces it. In the words of Gustavo Bounous, MD, retired professor of surgery at McGill University in Montreal, “It’s the [body’s] most important antioxidant because it’s withinthe cell.” (5) Although it is absolutely essential to maintaining a healthy immune system, it is not technically an “essential nutrient” because the body from the amino acids can create it L-cysteine, L-glutamic acid, and glycine. Conjugates (“links together”) with drugs to make them more digestible. Is a cofactor (“helper molecule”) for some important enzymes including glutathione peroxidase (which protects you from oxidative damage). Is involved in protein disulfide bond rearrangement (which is critical for the biogenesis of 1/3 of all human proteins). Participates in leukotriene production (vital component for inflammatory and hypersensitivity reactions). Helps detoxifies methylglyoxal, a toxin produced as a by-product of metabolism. Cancer apoptosis (“programmed cell death”). In fact, a growing number of researchers are now crediting the increase in neurological disease and cancer to glutathione deficiency. (7, 12, 13). Naturally made by our cells, there is no record of people “overdosing” on glutathione when supplementing from the natural sources that I discuss below. There are, however, clinical trials highlighting that asthmatics shouldn’t inhale glutathione because it may constrict their airways. (14) Also, scientists are unsure as to how the body responds to synthetic varieties like the pills that you can get online or at your local health food stores. (15) My recommendation is to stay with the 9 natural sources and skip the man-made stuff. Although the National Institute of Health (NIH) still claims that GSH deficiency is “very rare,” there is growing number of reputable sources that state quite the opposite. 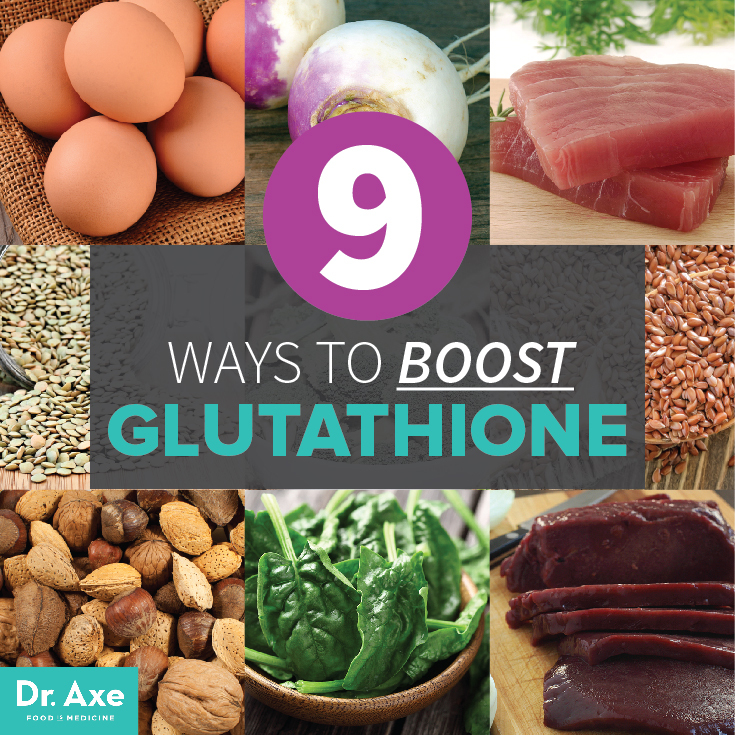 (16) Because of its role in preventing and managing disease, I recommend to be proactive and take a common sense approach to boost glutathione levels. Essentially, if you regularly consume these 9 foods and supplements to reach your overall health and wellness goals, you’ll also enjoy the naturally occurring glutathione benefits! It’s a win-win! Whey protein replenishes glutathione by boosting cysteine which helps rebuild glutathione when it is depleted from an immune response. (18) According to a recent studies, whey protein is the ideal supplement to help naturally increase glutathione for both fighting cancer, strengthening the immune system, increasing metabolism, and reducing appetite. (19, 20) Rich in glutathione, it is extremely important to purchase the right type of whey protein. Avoid any whey protein that is processed, or protein isolate. I recommend grass-fed why or goat whey protein as a dietary supplement. 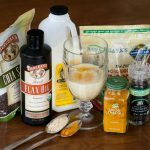 You will want to use a whey protein powder that is all natural or organic (when possible) and is completely free of pesticides, hormones, genetically modified organisms, artificial sweeteners and is gluten free. The unbelievably effective asthma remedy N-acetyl cysteine (NAC) helps decrease the severity and frequency of wheezing and respiratory attacks by boosting glutathione and thinning bronchial mucus. NAC is actually a precursor to GSH and it has recently been proven highly efficient at treating neurocognitive issues like addiction, compulsive behaviors, schizophrenia and bipolar disorder. (21) I recommend taking 200-500mg 1x daily. Vitamin C helps raise glutathione in red blood cells and lymphocytes. 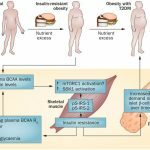 (24) Vitamin E is an important antioxidant that works with GSH to prevent damage from reactive oxygen and protects glutathione-dependent enzymes. (25) So working together, Vitamin C and E help recycle glutathione and keep you disease-free! Eating these Top Vitamin C andTop Vitamin E foods should be on all of our to-do lists. They together help keep glutathione at optimal levels and boost your immune systems and overall body function! Including an array of fresh, organic produce in the diet is helpful in providing the body with the nutrients it needs to create glutathione. Sulfur-rich vegetables such as garlic, onions, parsley and cruciferous vegetables are particularly helpful in addition to avocados, squash and tomatoes. Be aware that cooking reduces the glutathione content of vegetables by 30-60%, and canning eliminates it completely.